'Nancy Hardy' (John D. Taylor, R. 1971). Seedling #h.46/1. MDB, 5" (13 cm). Midseason bloom. Violet self; darker beard. 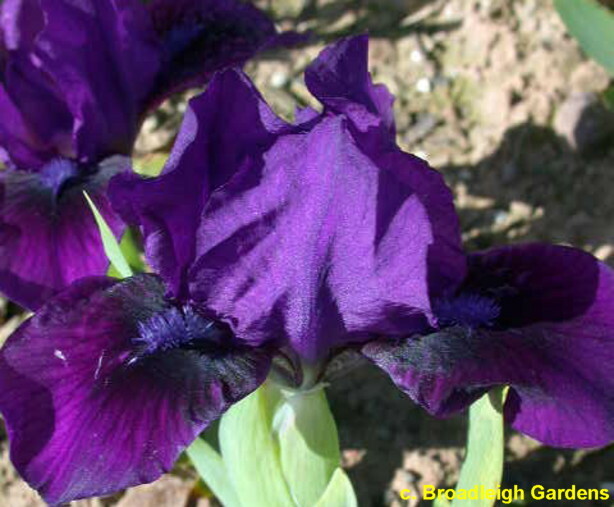 'Brannigan' X 'Green Spot' seedling. Linnegar 1972.